improved driver training requirements for all taxi and private hire drivers undertaking journeys for either Taxicard or Dial-a-Ride;the quality assurance provided by a register of approved drivers who have completed the required training;improved customer service for members with queries or complaints;better co-ordination of the feedback on drivers gathered through Taxicard and Dial-a-Ride customers and TfL Taxi and Private Hire regulatory functions to ensure that driver conduct issues are addressed appropriately. Cllr Julian Bell, chair of London Councils’ Transport and Environment Committee, said: “Assisted transport schemes provide crucial support for Londoners with limited mobility, and London boroughs want to make sure their residents are receiving the best possible service. 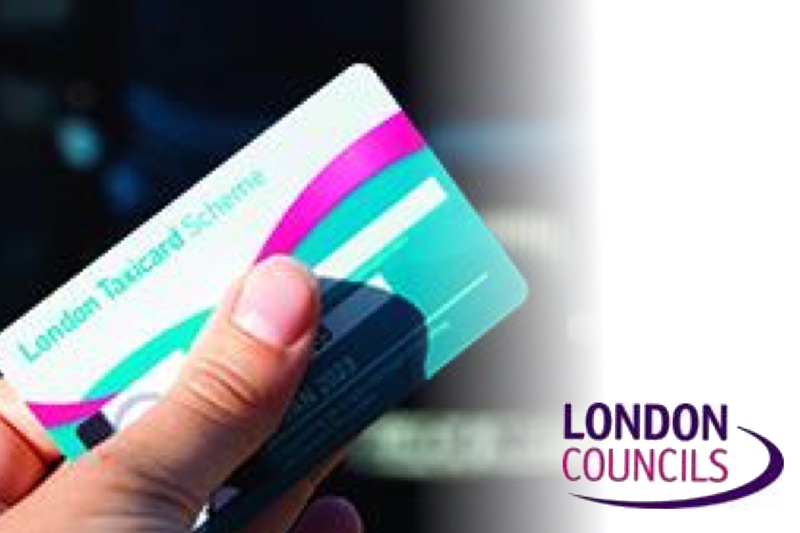 “After listening to the views and priorities of customers, we’ve worked with TfL to drive forward important improvements to Taxicard and Dial-a-Ride. The new contract means these services will become even more convenient for users and meet higher quality standards.”Clare Mann, TfL’s Director of Bus Operations, said: “We are committed to ensuring London is open for all, and improving the flexibility and choice available to Londoners who find it very difficult or are unable to use mainstream public transport. This new contract helps us towards our vision of a truly accessible city for all Londoners.“The introduction of a fixed maximum fare per mile, known in advance, will end the cost uncertainty that makes it difficult for many Taxicard members to use the service, while both Taxicard and Dial-a-Ride users will experience a real enhancement to their journeys with improved customer assistance and driver quality.”London Councils and TfL will work together to manage ongoing performance under the new framework contract – with a focus on improved reliability and punctuality of journeys and the standard of service provided to wheelchair and assistance dog users.New customer and stakeholder engagement forums will also be established to enable individuals and organisations representing people with disabilities to engage in regular dialogue with London Councils, TfL, and CityFleet. This will help ensure a high-quality service is maintained and identify opportunities to make further improvements in future.